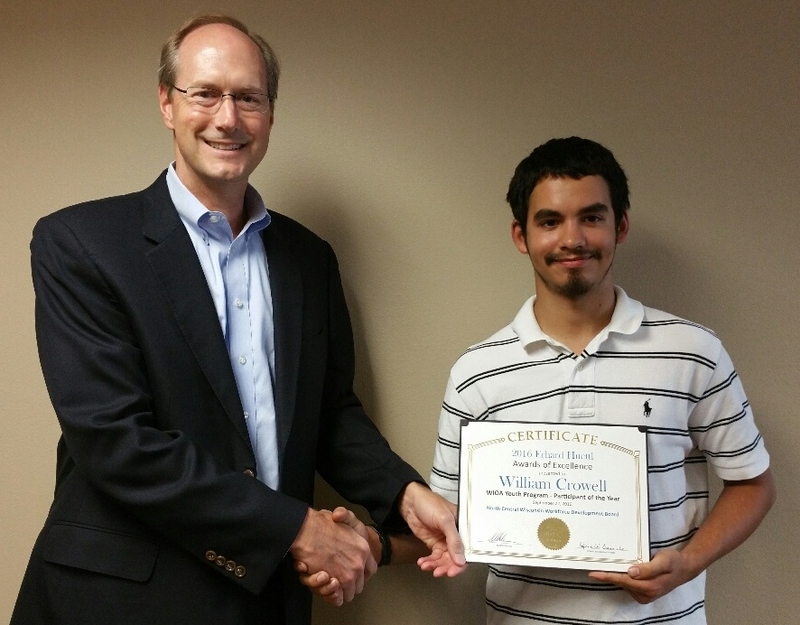 Download a printable version of William’s Success Story. Barty was a young adult in need of guidance. He worked seasonal jobs, but needed some assistance in setting a career path. He began the welding program at Mid-State Technical College thinking he was on his way. But in 2015, Barty endured three deaths in his family. The emotional stress was overwhelming and Barty couldn’t concentrate on his classes. It was a difficult decision, but he quit school. This unfortunate situation left Barty with a financial aid bill that would prevent him from returning to school. Barty knew he needed to work through his emotional stress and move on with his life. As he was overcoming these challenges, he was referred to Christa Bembenek, the Career Services Specialist from the WIOA Young Adult Program in Stevens Point. Christa immediately recognized Barty’s potential. Christa developed a paid work experience for Barty so he could earn money to support himself and to begin paying the financial aid bill that was hanging over his head. 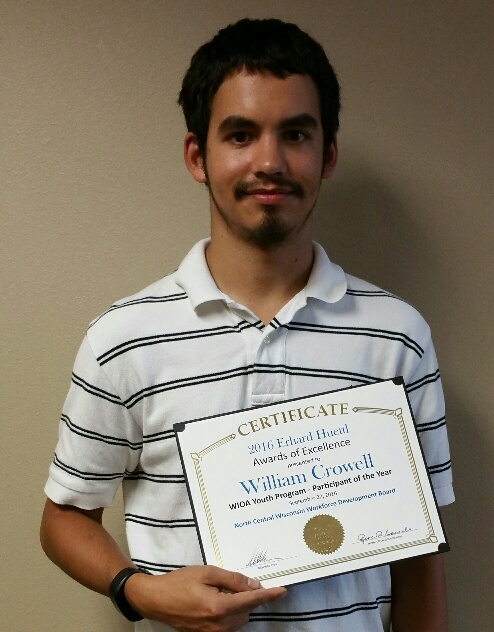 His supervisor at the paid work experience stated: “Barty (William) demonstrated initiative and efficiency to accomplish the assigned work tasks each shift. His performance exceeded expectations”. Also during this time, Christa and Barty explored his career options using several assessment tools. His assessment results confirmed his fit for a career in manufacturing. Barty not only earned NCWWDB’s Employability Skills Certificate, but also earned a platinum level National Career Readiness Certificate, the highest level in WorkKeys. When Christa learned that CWIMMA and NCWWDB were planning another short-term training in Machine Tool, she encouraged Barty to attend the informational session held by Derek Heikkinen, Ray Rogers and Forward Service Corporation. Barty was very interested! To overcome his financial barriers to paying for tuition, Christa contacted Kristin Gennaro, Career Services Specialist in the WIOA Adult Program. Christa and Kristin worked together to address Barty’s challenges so he could complete the short term training. Barty thrived in the rigorous schedule of the Machine Tool training. He spent over 30 hours a week in class, plus traveled back and forth from Stevens Point to Wausau. Barty also put in time after class to help his classmates with the difficult math and blue print reading classes. In addition, Barty tutored two other students from Portage County who needed the extra assistance, and participated in the tours that the Business Solutions team arranged. One of those tours was held at Wausau Window & Wall Systems. This was the place Barty was most excited about. Barty successfully completed the Machine Tool program on June 15, 2016. He now had another certificate in his tool belt. Barty’s work was not over. 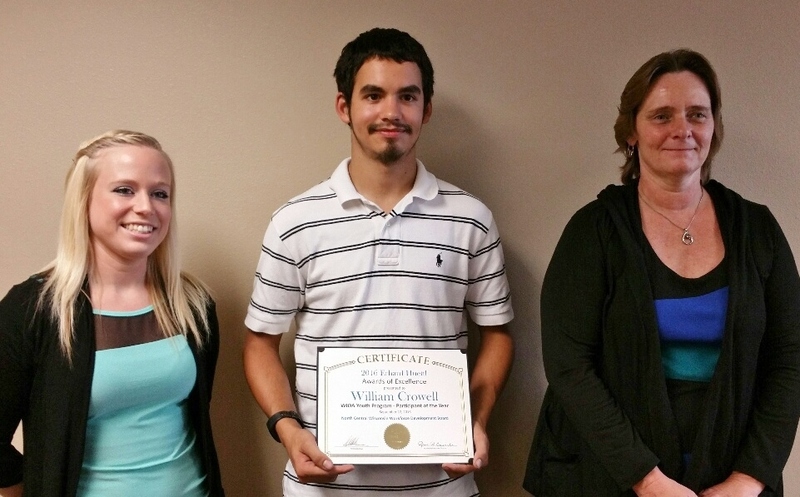 He worked with Christa and Kristin to prepare his resume and practice his interviewing skills. His hard work paid off! Barty interviewed at Wausau Window & Wall Systems, and was offered a position. Barty is now earning a great living wage, plus a full benefit package! Congratulations, Barty, your hard work is paying off –literately!